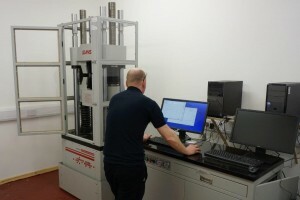 Mechanical Testing Services - Henry Williams Ltd.
Henry Williams Ltd Test House offers a wide range of Material Testing in our new UKAS Accredited testing laboratory number 8774, working to BS EN ISO and ASTM standards in line with our BS EN ISO/IEC 17025 accreditation. 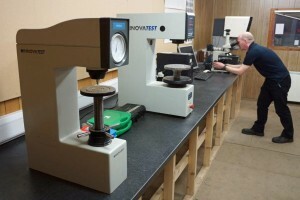 The Test House staff have serviced and worked in the Testing Industry for over 20 years and have an extensive knowledge and understanding of Mechanical Testing. Our current customer portfolio range from various industries which include: Oil and Gas, Petrochemical, Railway , Foundries, Forges, Fastenings, Alloys, Nuts & Bolt Specialists, Steel Stockholders, Steel Tubing, Construction, Marine and Power Generation Industries throughout the UK. Working alongside our Forge, we are able to provide a ‘One Stop Shop’, from Forging of materials to Heat Treatment and Mechanical Testing (Tensile, Elevated Tensile, Impact, Hardness (Vickers, Brinell and Rockwell), Chemical Analysis, Micro Structures, G48 and Corrosion Test (A262 Prac E), all carried out at Henry Williams Limited, Darlington. We are here to assist and to provide a ‘First Class’ service to our valued customers. No job is too big or small for our skilled, reliable and trustworthy team here at the Test House. For further information on our Mechanical Testing services, please do not hesitate to contact us on the details below. Telephone 01325 462722 ext 252, or you can email our Test House Sales Co-ordinator, Tammy Waters on tzwaters@hwilliams.co.uk who will be happy to assist.